This is a fun, cute and creative project. 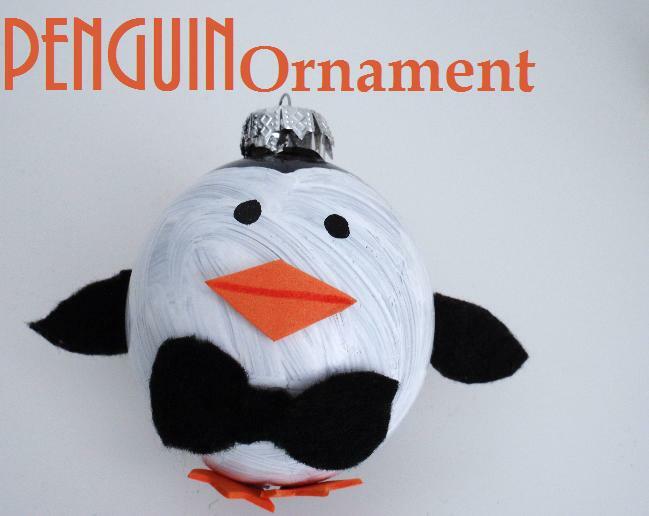 I had inspiration from Cracker Barrel, a restaurant & store when I saw a similar ornament. I decided to make my own, so here it is! Next, cut out a diamond out of craft foam and draw a line down the middle like this. Cut out a foot like this. Next cut out two shapes like this for the bow tie. Wrap the small thin one around the middle of the hourglass shape tightly to form a bow. Glue everything but the feet and wings. Now glue the feet on the bottom. They will be flat. Finally, glue on the wings. 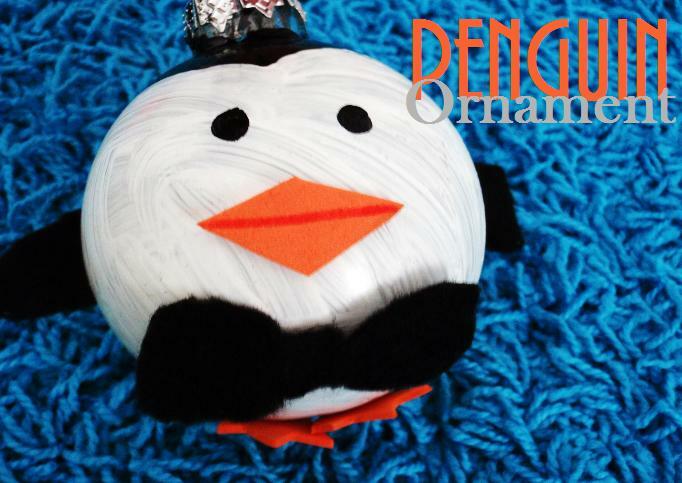 Instant Penguin Ornament! Now go trim that tree!